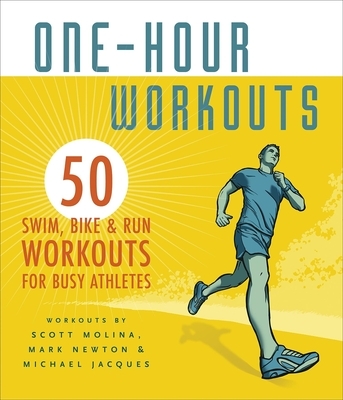 Perfect for the not-so-perfect day, these 50 smart, efficient workouts will help athletes keep their training on track. Scott Molina claimed 104 professional victories as a professional triathlete (1982-95), including the 1988 Hawaii Ironman World Championships, 6 USA professional championships, 50 USTS triathlons, 2 "World's Toughest Triathlon" titles, Ultraman World Championships, and 46 other podium finishes. In 1990, Scott married fellow professional triathlete Erin Baker. They live in Christchurch, New Zealand, with their three children. Scott currrently works as a coach. Amy White has been putting the swim, bike and run together for more than a decade. Her race resume includes three Ironman races and one age-group world championship. She has served as the editor of "Inside Triathlon," "Australian Triathlete" magazine and as Dan Empfield's first editor on Slowtwitch.com. She lives in Wellington, New Zealand, where she's happiest rolling over Moonshine on her bike, running Oriental Parade at night and drinking flat whites.